An Auckland woman who faked her early childhood education qualifications has been spared a jail sentence. 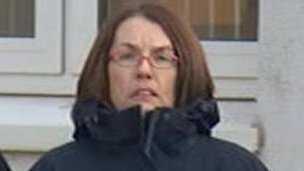 Tracy Gwendoline Hibberd, 33, appeared at the Auckland District Court this morning where she was sentenced to eight months home detention. At a jury trial in March, Hibberd was found guilty of eight charges of forging New Zealand Tertiary College certificates and letters. The former Clevedon Kidz Early Childhood Centre teacher failed the final papers for her Early Childhood Education Diploma twice. But instead of sitting the exam for a third time, she provided the childcare centre with a letter and an academic record showing she had received the qualifications. She was also given provisional registration as a teacher, but has since been struck off the register. When Hibberd appeared in court prior to sentencing last month, Judge Roy Wade slammed Campbell Live forairing an interview with her in which she claimed to be innocent. The interview was done by journalist Mihingarangi Forbes. In introducing the programme, John Campbell said: “She showed us her diploma, looks legit to us, but the college she studied at for it said she never qualified”. Judge Wade said saying the diploma looked legitimate was a “remarkable comment from an investigative journalist” as the documents were later proven to be forged. The documents were made on a photocopy machine which only Hibberd had access to. However, Mediaworks spokeswoman Rachel Lorimer said in a statement that “the comment from John Campbell’s introduction to the story was simply a way of saying there was nothing obviously fake about the diploma’s appearance”. “The story specifically asked the question whether the diploma was valid and pointed out there was a police investigation underway,” she said. Judge Wade said while Hibberd was being interviewed she was asked whether she would lie to the nation on television. “Well, the answer is yes. Yes, she would,” he said. Judge Wade said the programme had caused considerable damage to the New Zealand Tertiary College’s reputation. The College has spent $30,000 trying to “remedy the damage” done by the programme.